Among the hundreds of fathers I know, he is one of those I admire the most. Successful in his practice as a top ophthalmologist with ACES (Associated Cebu Eye Specialists), he is even more successful in his role as husband to his wife, Stephanie, and as a father. 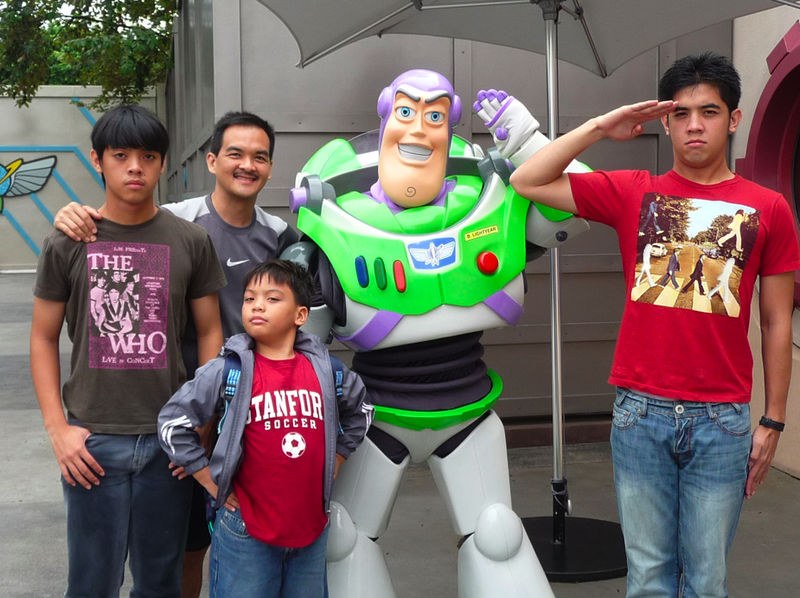 Eldest son Stevee, 20, is in fourth year college at the Ateneo (ADMU). I recall, back in the 1990s, organizing a tennis camp at the Cebu Tennis Club. One of my youngest students was Stevee. The person who accompanied him often to watch the youngster? His dad. Robee, 15, is the second child. “He plays tennis, too, but his main sport is soccer playing mid-field,” said Ronnie. “In Grade 5, his team (Springdale) won the National Adidas 4-on-4. Last year, they won the POF title and last Feb. represented Cebu for the CIVIRAA.” The person I see often cheering on his son? His dad. Third son Santi is the most energetic. Two years ago, both our families (together with Jourdan and Jingle Polotan) trekked to Cagayan de Oro for White Water Rafting. With me were Jasmin and Jana. The Medalles were represented by Ronnie, Steph and guess who? Santi. 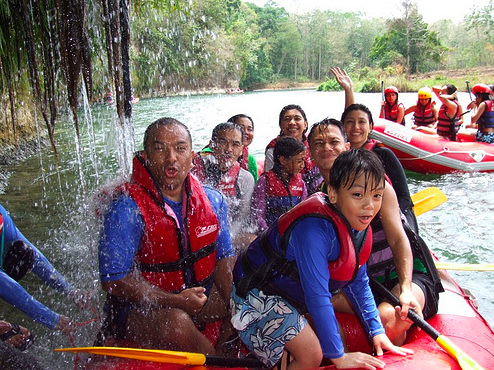 Imagine him—all of six years old—sitting in the middle of the raft, smiling, screaming, with water splashing all over as we braved the turbulent waters. Finally, after three boys and just when the family grew contented with an all-male squadron, in 2005, Steph gave birth to a beautiful girl named Simone. And, last year, would you believe that, Simone joined the Butch Bacani Tennis Camp—at three years old! Why such a sporty family? Here’s why: Visit their home. Residing at the top-most levels of the Medalle Bldg. (near Fuente Osmeña), in their home you’ll find a billiard table, a ping-pong table, tennis racquets, soccer balls, golf clubs and the Nintendo Wii that plays bowling. And, during nights when Ronnie doesn’t play his M-W-F tennis schedule at the Cebu Country Club, he exercises at the home gym that’s complete with Kettler-branded weights and elliptical equipment. This is your cousin Gigi in California! 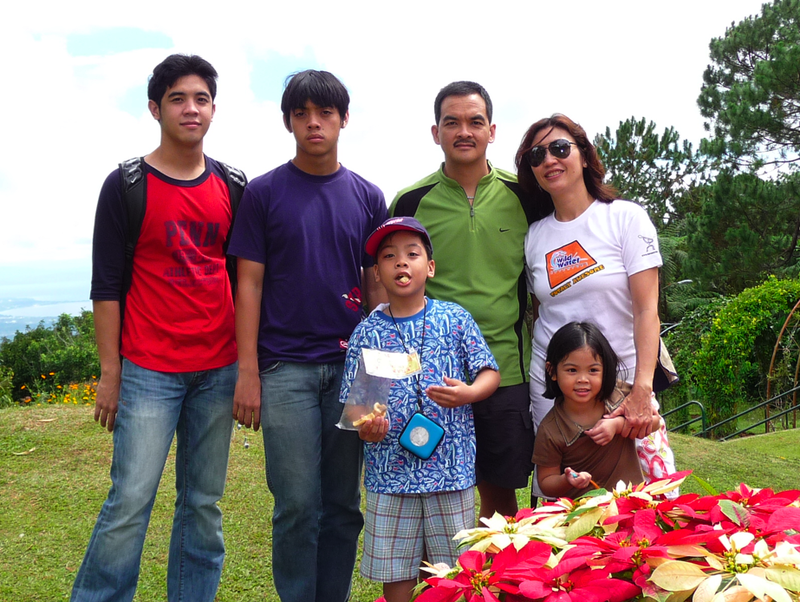 I found this great article on you as a wonderful dad and a top ophthalmologist in Cebu. That’s really amazing! What a beautiful family you have! Congratulations on your successful career! 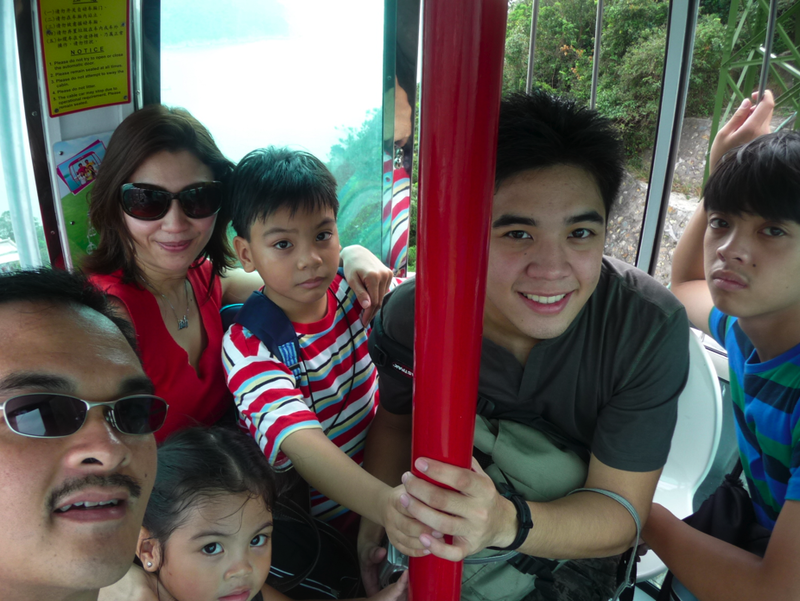 Please give my regards to your family, Stephanie, Stevee, Robee, Santi, Simone, Tita Lydia, Edwin and Jon in (Germany).